With Halloween and Guy Fawkes night out of the way, we can officially start counting down the days until Christmas! The happiest time of year is just a few short weeks away and if you’re like us, you’re not prepared in the slightest. Not to worry. Presents will be bought, food will be consumed and all will be merry. But what about the entertainment? Now, that’s another story. We want you to have the best Christmas possible. That’s why we’ve put together a list of six shows you and your family have to see this festive season. And remember: our New Year Sale is just around the corner – the perfect excuse to pick up a theatrical gift or two! Is it even Christmas without an appearance from Scrooge and those timely ghosts? Returning for its second year, Jack Thorne’s A Christmas Carol will once again transport audiences to a wintry Christmas Eve where Charles Dickens’ classic tale will be unfolded. On the night before Christmas, the cold-hearted miser Ebenezer Scrooge will go on a journey through time to observe his life and behaviour in the past, the present, and the future. Will he see the error of his ways? Or is it too late to turn his lonely life around? Filled with magic, joy and mince pies, this play that’s set in the round will enchant the whole family and put them in that festive spirit. It might even teach them a thing or two about being a good person, too. And that’s never a bad thing, is it? This festive favourite has been entertaining families since 1950. The English National Ballet’s spellbinding Nutcracker brings 100 dancers and musicians to the stage for a beautiful display of elegance and imagination. On a sparkling Christmas Eve, Clara and her enchanted Nutcracker doll enter a magical world where she battles the Mouse King and meets a handsome stranger. As the air grows colder, Clara and her Nutcracker take a hot air balloon ride across London to the glistening Land Of Snow where her adventure really begins. Set to the familiar score of Tchaikovsky – featuring the Dance Of The Sugar Plum Fairy and Waltz Of The Flowers – it’s an experience you and your children will never forget. Though not a Christmas tale as you imagine them, this magical story that takes three young children to a faraway land is full of wonder, mystery and an appreciation for what really counts: family. 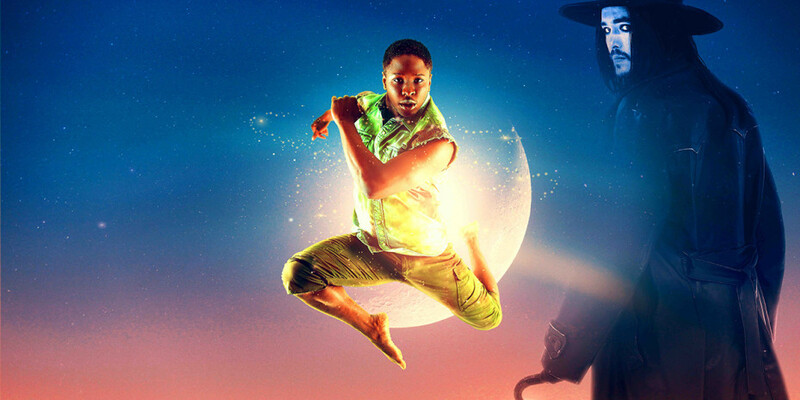 This brilliant revival of JM Barrie’s original 1904 play will fill your heart with adventure, charm and joy as Peter Pan takes to the sky and never grows up… well, we are all big kids at Christmas, aren’t we? Haven’t been to a panto in years because you think pantos are a bit too much? Oh, no they’re not! Especially these hilarious and star-studded productions from an Olivier Award-winning team. 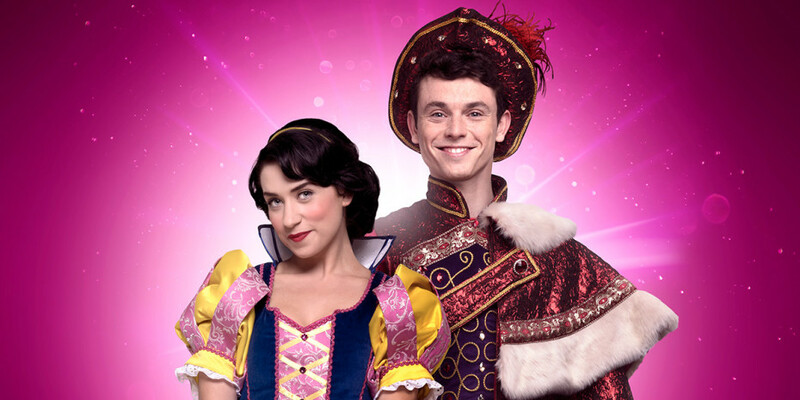 Taking the much-loved story of Snow White and turning it into something a lot brighter, a lot funnier and just a little bit naughtier, this London Palladium panto will have you in stitches. This year’s show stars Danielle Hope in the title role, and actor, writer and comedian Dawn French, who is making her pantomime debut as The Wicked Queen. Joining them will be Charlie Stemp, Julian Clary, Paul Zerdin, Nigel Havers and Gary Wilmot. 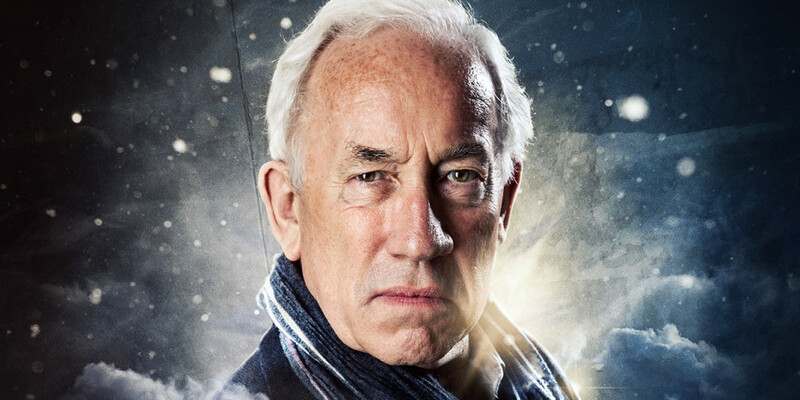 Though the premise is the same, Simon Callow’s A Christmas Carol could not be any more different to Jack Thorne’s. 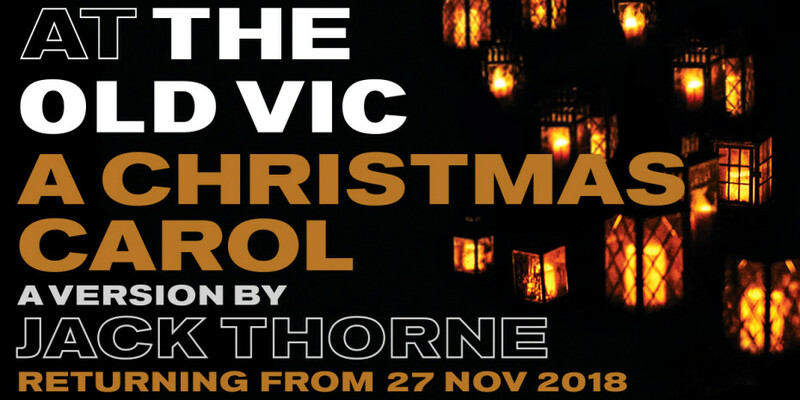 Following acclaimed sell-out seasons in 2011, 2012 and 2016, this unique staging of the Dickens’ classic has fast become a tradition at Christmas time. The one-man show creates an intimate and fast-paced performance which is both deeply profound and incredibly uplifting. 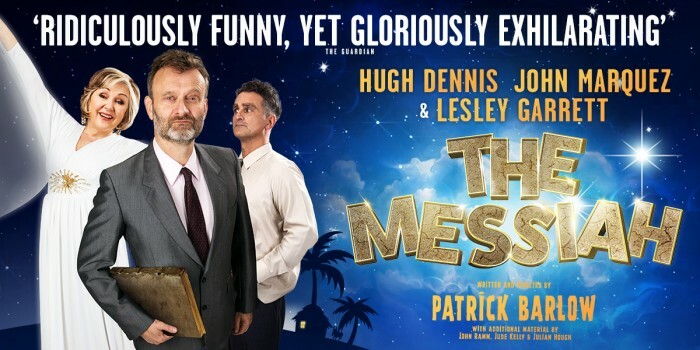 Hugh Dennis, Lesley Garrett and John Marquez play a cast of thousands in a comedy of biblical proportions, The Messiah. This unpredictable and hilarious show tells the story of a travelling troupe of actors who arrive in the ancient city of London to masterfully enact the greatest story ever told. Featuring Joseph, Mary, Archangel Gabriel, Herod, God – and an ox – The Messiah is a vibrant comedy from the pen of Patrick Barlow, the ingenious playwright behind the Olivier Award-winning parody of The 39 Steps.